Are you planning to bring home a new puppy? Have you given serious thought to what it’s going to be like to adjust to having a young canine in your home? When you add a puppy to your family, you have to be prepared for a learning curve and period of adjustment during which you and your new canine companion get accustomed to each other. Pets can greatly enrich our lives, but they also come with new responsibilities that every pet owner has to be prepared to accept. Many people underestimate how expensive it can be to provide proper care for puppies and adult dogs. Keep in mind that when you make a decision to become a dog owner, you are making a commitment to take care of your pet for life. Before you decide to add a puppy to your household, make sure you can afford the food, veterinary care, and supplies needed to properly care for your new pet. As soon as you bring home your new puppy, you’ll need to provide your pet with nutritious food and a safe comfortable place to sleep. Soon, you’ll need to visit the veterinary for inoculations, heartworm treatments, and spaying or neutering. Your dog will need ongoing heartworm prevention, annual shots, and proper care for any other health concerns that may arise. Before you decide to bring home a new puppy, be sure you can really afford to be a dog owner. Make sure there is room in your budget for the necessary expenses associated with pet ownership, and commit to providing your canine companion with the best possible treatment and care throughout his or her life. When you get a new puppy, it’s important to realize that your new pet is going to need a great deal of time and attention from you and the other members of your household. Unfortunately, many people think they can pick up a new puppy and be able to continue uninterrupted with hectic schedules that keep them away from home for hours on end. This is counterproductive for both the puppy and the owner. It’s important to make plans to avoid leaving your new puppy at home alone for extended periods of time when you first bring him or her home. 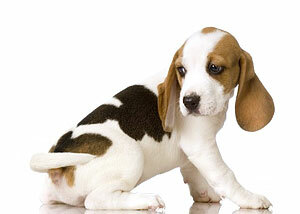 Many people find it beneficial to schedule a few full or partial vacation days when they get a new puppy. 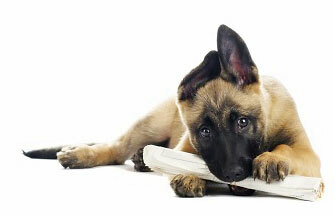 This can help the puppy get used to you and adjust to the new surroundings. Spending time with your new puppy can also help you get started with the housebreaking process and keep your furniture and flooring from being chewed to bits by a stressed out and bored pup. Be sure to think about your lifestyle and living arrangements when making a decision about the best type of dog to add to your household. Consider your needs as well as the needs of the animal. For example, if you live in an apartment, be careful to avoid choosing a dog breed that is not suitable for apartment living. If you’re prepared to commit the necessary time and money to providing a loving home for a dog, it may be time for you to bring home your new puppy.